Dan Notti - Are we burying our talents in the pew? 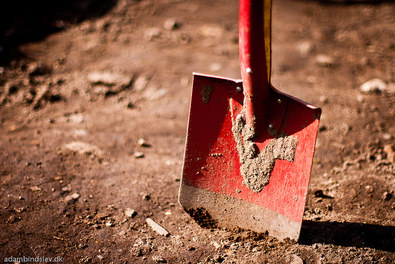 Are we burying our talents in the pew? This parable, along with the previous one about the 10 virgins (Matt. 25:1-13), takes place at the end of the Jesus' teaching about the end times, and they are connected by the phrase "the kingdom of heaven is like..." This phrase is unique to the book of Matthew and I want to suggest that it communicates the idea of the practical sphere of God's effective will on earth. In this end-time period, Jesus compares the kingdom of heaven to 10 virgins waiting for the bridegroom and a man who goes on a journey after leaving his wealth in the care of his servants. The virgins were each responsible for ensuring they had enough oil in their lamps to greet him properly and the servants for ensuring that the master received a profit when he returned. In the first case, there are those who were 'prudent' and prepared when the delayed bridegroom finally arrived. They joyfully greeted him and went in with him to the wedding feast. There were also those who foolishly failed to prepare and, after scrambling around trying to find oil for their lamps, are forbidden from entering the feast. In the parable of the talents, two of the servants go to work,make a profit for their master and are richly rewarded. The third servant hides his talent in the ground and is rebuked and ultimately consigned to be thrown into "the outer darkness; in that place there will be weeping and gnashing of teeth." I think it is plain from the context and content that neither one of these parables is addressing the issue of salvation. The virgins were gathered to receive an expected bridegroom -- no unbeliever would fit that description or be characterized in that way. The servants were "his own," involved with their master's work and having demonstrated enough "ability" to qualify them to be entrusted with his wealth during his absence. It stretches credibility to consider that unbelievers would be considered this way and accorded this privilege. Both parables describe the kingdom principles that are a priority prior to the Lord's return. They clearly illustrate that, as that day draws near, what is most important is prepared vigilance and engaged industriousness. I want to take a moment and thing about this last end-times principle. It is somewhat remarkable that the master gives no specific instructions about what they were to do with this money. There is no doubt that by working with him, the servants should have acquired a sense of what he would do if he were them. They would have known his values, his ethic, his aspirations. But it must again be noted that they were not told what they had to do or what the rewards or penalties would be when he returned. All they knew was that he had entrusted his wealth to them, he was going away for undetermined period of time and that he would certainly return. These were not untested and untried neophytes -- newbies who were trying to figure things out and find their place in the great schema of things. These were servants that the master knew, trusted, and who had developed and evidenced abilities that made them capable of managing the responsibility he was giving them. They had been through the early stages of maturation and had grown up into servants who could be relied upon. This is an important point to understand when assessing what happens to the servant with the one talent. It would be easier to be sympathetic if we had the sense that he was out of his depth or beyond his level of competence -- that the task was too big for him. God's task is never too big for us. That's because he always tailors it to match the level of our ability. 5 talents would have been too big a responsibility for two of the three. But for the one, it was the perfect assignment that would provide the opportunity to grow along with a reasonable safeguard against failure. This is such a key principle to understand -- God is not trying to break us, he is endeavoring to make us into all that he intends for us. And this requires a bit of stress and stretching and walking out on the water at his command. I am not saying that any of the three were completely comfortable with the responsibility they were given -- but they had been adequately prepared to discharge it faithfully, and grow a bit in the process. Two of the servants immediately went and put their money to work -- they traded with it in the hope of maximizing the investment. They no doubt mimicked their master's industrious outlook and attitude. They "knew" what he expected and saw the opportunity and seized it. They depended upon their training, experience and abilities to make wise choices. They were engaged and willing to extend themselves by risking a bit to gain a bundle. They were not foolhardy, impulsive or lucky. They were trained servants who were about their master's business to the best of their ability. Then there was the last servant...indignant, sullen, angry and fearful. He "knew" something as well. He knew that his master was a hard, vindictive, opportunistic and greedy man. And he "knew" that his master was going to take advantage of him early and often...so he went and buried his talent. He didn't put the money to work. He didn't draw on his training, experience or ability. He didn't even give it to another (the bankers) to invest on his behalf. He just put it in a hole, covered it with dirt and in essence thumbed his nose at his master saying, "See, you have what is yours." For those who were industrious and utilized their experience and ability, there was a tremendous reward -- even greater responsibility and the joy of their Lord! And for the other? He forfeited the talent that he had, received a stinging rebuke and had this frightening prospect: "Throw out the worthless slave into the outer darkness; in that place there will be weeping and gnashing of teeth" (Matt. 25:30). This final phrase is what has caused some to maintain that this servant was never saved. After all,this place of outer darkness and gnashing of teeth must be hell, right? To me this is comparable to missing out on the marriage feast in the previous parable. Those virgins who were rejected from the feast were not unbelievers and consigned to hell. They were believers that through slothfulness and carelessness lost out on participating in a joyful privilege - the marriage feast of the bridegroom. It is not a story about salvation, but about rewards! In the same way, I want to suggest that this place of outer darkness, weeping and gnashing of teeth, is a place of profound, even crushing regret. It is a place where I am alone in the darkness of the awareness of what I have missed out on because of my indignation, slothfulness, carelessness, fear or ambivalence. I am alone with all of my 'what ifs', 'should haves', and 'could haves.' It is away from the pure joy that others have entered into, and I am painfully aware that it was available to me as well, if I would have just believed God for what he put before me. It is truly a place of weeping and gnashing of teeth. But in my mind it is also a temporary place. I don't have space to develop it here, but I don't think our failures in this life are irrevocable, irreversible and permanent. I truly believe that this place of darkness and grief is a stepping stone to restoration and recovery. Somehow, some way, God is going to be faithful to his promise that he is going to perfect that which concerns me. Even in my greatest failure there is grace to be restored to blessing! I think some of us, maybe many of us, have buried our talents in the pew. Whether because of our frustrations, fears, feelings of helplessness or increasing disillusionment, we have buried the riches that God has entrusted us with and have settled for watching others perform from the front. We are not spiritually industrious or determined or creative. We are not looking, or stopped looking, for ways of putting our time, talent and treasure to work. More often than not we are looking for ways to fit in, fly below the radar, numb the pain of feeling insignificant, or simply avoid conversations that expose our lack of engagement. 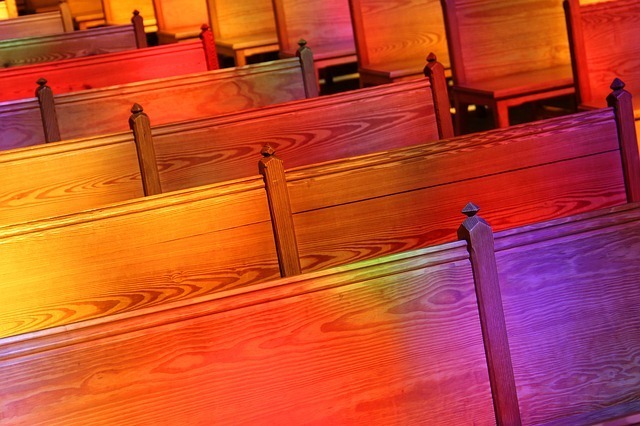 In a word, the pew represents the place of "lazy" evangelicalism. Instead of individually accepting responsibility, becoming meaningfully engaged and actively contributing, (i.e. putting our talents to work), we hire the professionals. We put the load on them to generate a return on the master's investment and if it doesn't go well, we hire someone new. That whole system of offloading our spiritual responsibility for manifesting the kingdom, growing into profitable and capable servants and embracing the industrious opportunities to expand his testimony, is how we dig the hole our talents get buried in. For me that "burying" was manifested in a depressing sense of resignation to "what is". I felt that the "pulpit" or "podium" was forever closed to me. The window of opportunity to contribute, at least in the way that I had in the past, was shut and locked. Partly because there seems to be precious little place for a teacher or preacher,in our evangelical churches,who does not have the "proper" degrees and credentials. And so for me it seemed that the glass ceiling for contribution was about 3" off the floor in most fellowships. One most powerful example of this is when you hear that a fellowship is doing a search for their next pastor. Their guy left, for whatever reason, and now the search committee begins to look for the next shining star who can take the church to the "next level." When was the last time you heard that the committee was limiting their search to only those candidates in their own congregation? It just doesn't happen, because we have convinced ourselves that it is impossible. You can't tell me that there are not incredibly passionate, gifted, deeply spiritual people in our pews. In "real life" they are business leaders, teachers, mentors, caregivers, artists and practical 'doers'. They take responsibility, they manage efficiently, they lead effectively, and they get things done. They are energetic, insightful, creative, decisive, astute and intuitive. In the first century church they would be the Peters, the Pauls, the Matthews, the Lukes, and the Johns of the church. They would be the apostles, the prophets, the evangelists, the pastors, the teachers, the elders, the deacons, those with the gifts of healing, helps, administration and more! But today, in the main, they are passive pew sitters in most churches. What if we were committed to preparing each other to put our talents to work by giving and receiving wholehearted encouragement, support and opportunity? What if we let go of the hierarchical structures that strangle the life out of fellowships, and let people live into how God has gifted them? What if we celebrated and promoted that gift to the benefit of the whole body? And what if we we were dedicated to ecouraging every individual to contribute to the measure they were able, so that the body could be built up in love -- while being patient, tolerant and loving enough to let it happen? Wouldn't that be awesome?! Wouldn't it make you want to dig up your talent, knock off the dirt and dive full bore into putting it to work to the glory of God? It would me! Think of the kind of return on kingdom investment would be possible if all those talents were unleashed for God's glory! What an incredible increase in each individual's life and in the lives of all the others they were connected to. What an amazing testimony to God's transforming grace and the power of the Holy Spirit it would be to the world that has come to expect nothing more from the church than buried talents! And what a huge increase it would yield for his glory!